Baseball, BBQ Competitions and Wine...Oh My! Every year, the Dallas Chamber of Commerce holds a Community Awards Banquet in order to recognize important members of the Dallas community. We were a proud sponsor of their celebratory toast! Again, thank you to these outstanding individuals and everyone else who makes Dallas, OR a wonderful place to live. 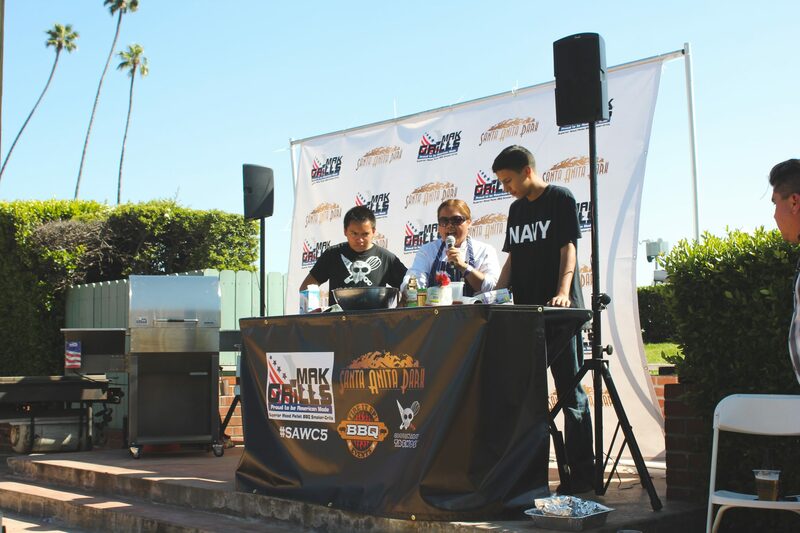 Now a two-day event, The BBQ masters of So-Cal return for the 8th Annual Winner’s Circle BBQ Championship at Santa Anita Park which now includes carnival rides & games! 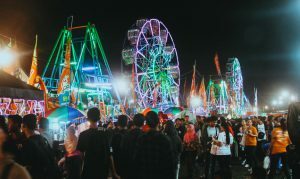 The carnival will be hosted outside of the South admission entrance and BBQ vendors will be around the Kingsbury Fountain. Don’t miss all the BBQ, live music and world-class thoroughbred racing. We’re proud to sponsor this epic smokey showdown! 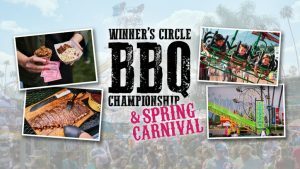 Enjoy delicious BBQ and help choose a new People’s Champion at this yearly infield event. 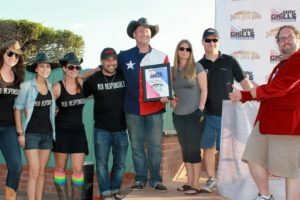 This contest is not JUST a BBQ festival, it’s a Kansas City BBQ Society (KCBS) sanctioned four meat Championship Series event, a Jack Daniel’s World Championship Invitational Barbecue (draw) an American Royal Invitational Qualifier, as well as a Team of the Year (ToY) event for KCBS. There will be cash prizes for 1st-10th place winners. Check out the official contest rules for more information. $15 gets you an unlimited ride wristband so you can enjoy the fun all day! For more event information and package deals, visit the official event website. 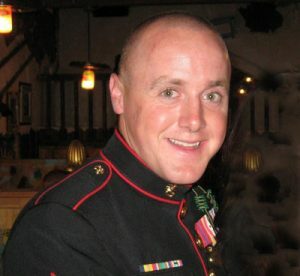 The Salem Volcanoes will hold a Tribute to the troops during one of their games, with special honor to Oregon Fallen US Marine Sgt. Ian M Tawney. Check the Event Facebook Page for more details. If you live in Oregon or are planning a trip soon, come join us for the Oregon Wine Experience! Each August, thousands of people gather for one of the biggest wine and culinary celebrations in Oregon. This event features award-winning wine, gourmet culinary creations prepared by top chefs and an unbeatable atmosphere. The Oregon Wine Experience highlights wines that represent the full breadth and depth of Oregon as determined by the most respected wine experts. 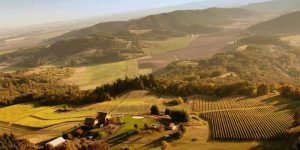 It’s a special opportunity to sample amazing wines from all corners of Oregon in one unique location! Last year there was a record-breaking representation from across the state with more than 100 Oregon wineries participating in the 2018 Oregon Wine Experience. It’s the perfect opportunity for guests to take in the vastness of our state’s excellent wine! The benefits of the Oregon Wine Experience linger long after everyone goes home. In addition to the amazing memories made, thousands of local infants and children will directly benefit from the funds raised at this event. 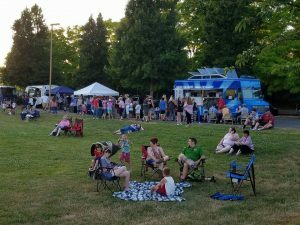 In 2018, the Oregon Wine Experience raised more than $1,300,000 and 100% of those proceeds stayed local, benefiting Asante Children’s Miracle Network and other Asante healthcare programs. Funds raised at this event allowed us to fulfill our goal of bringing a “Child Life” program to the Pediatrics Department. Because of this program, there is now a specialist helping many children and their families navigate the emotional and physical tolls of short and long-term hospitalization. If you’re not old enough to drink and still want to participate, the Oregon Wine Experience is always looking for volunteers. This event wouldn’t be possible without them! Come share in the experience and appreciation of good wine and food while supporting the Children’s Miracle Network and other Asante Foundation healthcare programs. Your time and energy will be well spent.